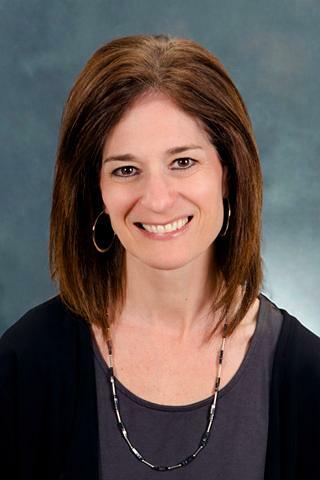 Jill Suzanne Halterman, M.D., M.P.H. Dr. Halterman cares for primary care patients in the pediatric clinic, precepts residents and teaches students in the clinic, and covers the inpatient services for 2-4 weeks per year. Dr. Halterman's primary research interest is to improve the delivery of preventive care for underserved children with asthma. Asthma is the most common chronic illness of childhood. While national guidelines recommend daily preventive medications for all children with persistent asthma, studies indicate that many children in the U.S. who should receive these medications are not receiving them. Although young urban children suffer the largest burden from asthma, they are the least likely group to receive adequate preventive care. Thus, there is a substantial amount of suffering that could be prevented with improvements in care. The goal of the Preventive Care Program for Urban Children with Asthma is to develop and test sustainable models for identifying and treating children and adolescents with this all too common disease. Shankar M, Fagnano M, Blaakman SW, Rhee H, Halterman JS. "Depressive Symptoms Among Urban Adolescents with Asthma: A Focus for Providers." Academic pediatrics.. 2018 Dec 20; Epub 2018 Dec 20. Goldman H, Fagnano M, Perry TT, Weisman A, Drobnica A, Halterman JS. "Recruitment and retention of the Hardest-to-Reach families in community-based asthma interventions." Clinical trials : journal of the Society for Clinical Trials.. 2018 Dec 0; 15(6):543-550. Epub 2018 Aug 13. Jones MR, Frey SM, Riekert K, Fagnano M, Halterman JS. "Transition Readiness for Talking With Providers in Urban Youth With Asthma: Associations With Medication Management." The Journal of adolescent health : official publication of the Society for Adolescent Medicine.. 2018 Oct 30; Epub 2018 Oct 30. Chapter Title: Iron Deficiency Anemia, Megaloblastic Anemias, Folic Acid Deficiency, Vitamin B12 Deficiency, Hereditary Spherocytosis, Transient Erythroblastopenia of Childhood.